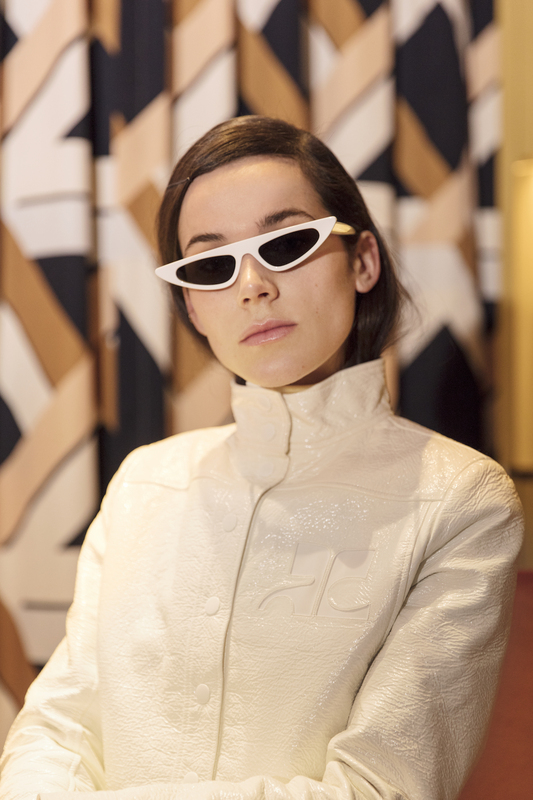 Stephanie Lou portraits Marine Delzenne in a futuristic hotel setting infused with 60’s art deco extravaganza. Lou follows Marine into the intimacy of her room, capturing her in relaxed poses that subtly hint to sexuality. 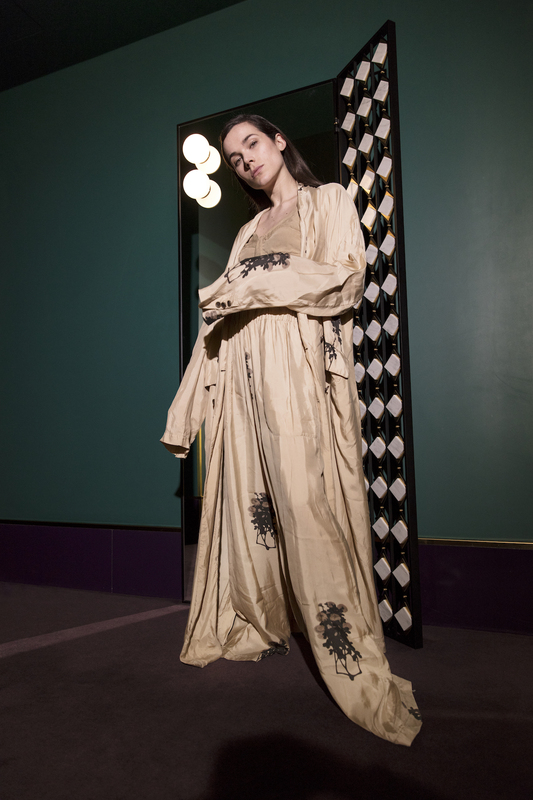 Ann Demeulemeester and Uma Wang silk and lace pajamas gently draped on the body bring fluid elegance to the space age boudoir. 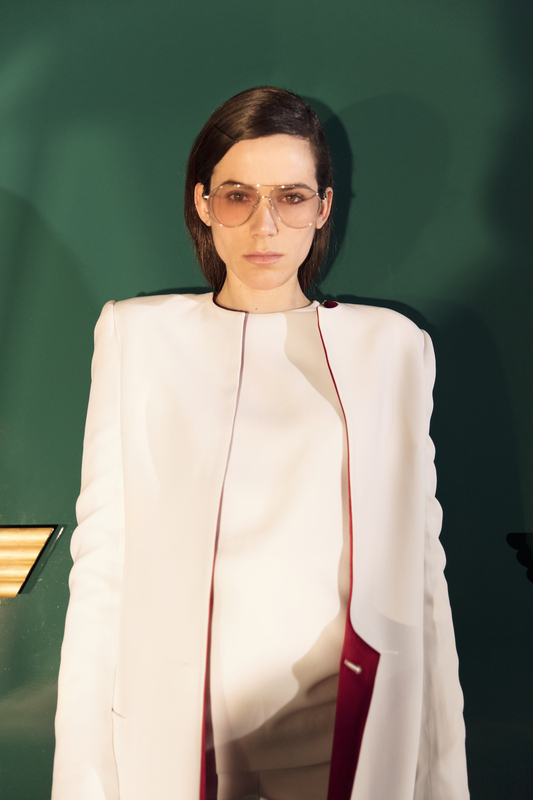 Minimalistic outfits from Haider Hackermann and Yang Li create with the decor a retrò glamourous atmosphere that seems to come out straight from a Tom Ford‘s movie, while moon-girl inspired Courrèges blouses and mini skirts flashback to Godard‘s Alphaville. 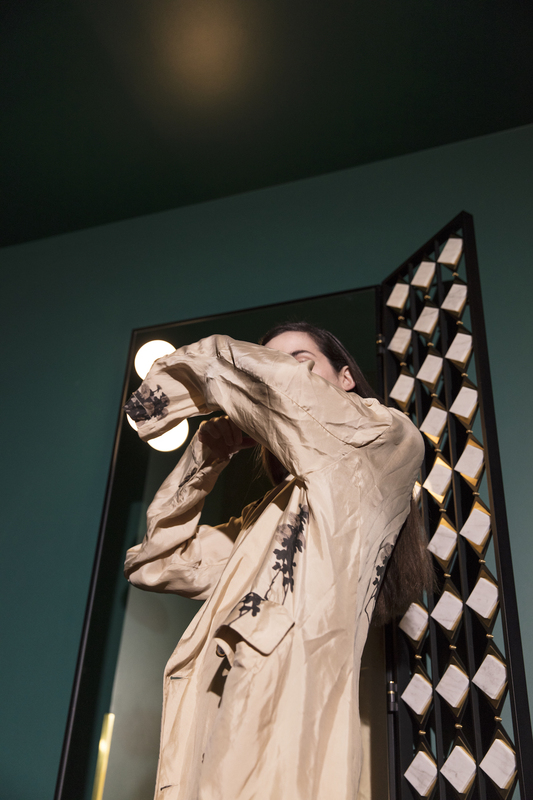 Design and fashion are seamlessly intertwined.